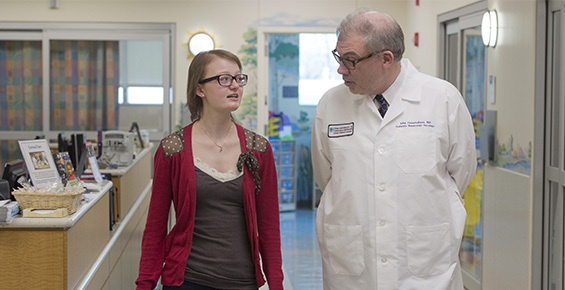 The stem cell transplant physicians and researchers at the University of Chicago Medicine Comer Children's Hospital are always looking for new and better ways to treat our patients and to improve the quality of life after treatment. 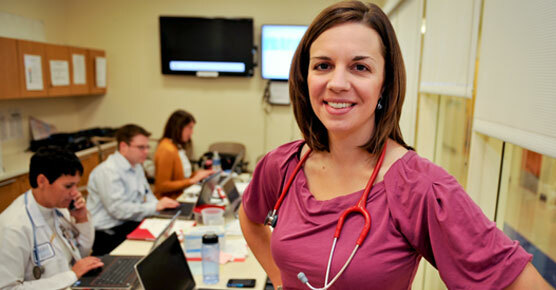 When your child is treated at Comer Children’s, he or she benefits from previous and ongoing research studies. What we learn about your child will also help other patients in the future. The teams of clinicians and researchers at Comer Children's and the Institute of Molecular Pediatric Sciences at the University of Chicago are combining clinical intervention, clinical research and laboratory investigation to explore more applications for stem cell transplantation and to improve the success rate of this promising treatment. Under the leadership of John Cunningham, MD, the multidisciplinary stem cell sciences program has a "bench to bedside" approach so that discoveries in the lab can be rapidly translated into clinical advances. Because parents represent only a 50 percent genetic match for their children, conventional methods of stem cell transplantation using parent donors result in high rates of infection and rejection. Dr. Cunningham's research has identified a unique approach to purify parent stem cells, isolating only what is needed for transplant. With this approach, researchers have seen a four- to five-fold reduction in severe graft versus host disease. This complication remains a significant risk in our patients. We are one of the small number of institutions in the nation that provide an extensive array of post-transplant immunotherapy strategies including: infusion of donor lymphocytes; natural killer cell and mesenchymal stem cell infusions; and, in some instances, the use of post-transplant chemotherapy. These approaches are reinforced by University of Chicago Medicine Comprehensive Cancer Center research programs and by the University of Chicago Biological Sciences Division programs and departments. These programs are focused on the development of novel chemotherapeutic agents for use in transplantation in malignant diseases of childhood, the use of new approaches to purify cell populations with strong activity against malignant cells and the development of tumor vaccines. We are particularly interested in identifying new approaches to transplant children with leukemia for whom conventional chemotherapy has failed to control their disease, have relapsed after an allogeneic stem cell transplant, or who have developed a secondary leukemia after being treated earlier in life for another malignancy. These studies are supported in part by a multi-million dollar award from the Cancer Research Foundation. Approaches currently being considered for these patients include the use of reduced-intensity therapies, the combination of mismatched related and cord blood grafts and post-transplant immunotherapy. The team has a long-term interest in developing effective and safe transplantation strategies for hemoglobinopathies and immunodeficiencies. (National awards and local philanthropy fund work in this area.) Using new graft development strategies, the team offers novel strategies for sickle cell anemia and β-thalassemia, bone marrow failure syndromes and metabolic storage diseases. Given the high degree of multi-organ involvement in these conditions, this treatment is supported by internationally known, multidisciplinary experts at Comer Children's. These experts are focused on the critical care, pulmonology, genetics and cardiovascular complications associated with effective therapy of these conditions. The Center for Stem Cell Biology and Regenerative Medicine at the University of Chicago focuses on enhancing our understanding of the role of stem cells in all organs, and using this information to develop new cellular therapies to treat devastating diseases of childhood. As a leader of this initiative, Dr. Cunningham and his team have immediate access to this information, and use it to quickly advance patient care. The success of these endeavors has been recognized with several awards from national and local philanthropic foundations.